We have been busy collecting food to send to our local foodbank inspired by our focus on Harvest, led by Rev. Dan and Rev. Sharon. Last year over 1700 people accessed out local foodbank and 600 of these were children. 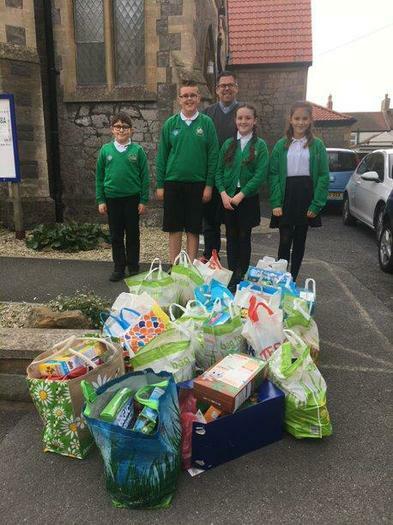 The Senior Pupils delivered the food and were given a tour of the Foodbank showing the children the food store and explaining how families can access the gifts. The Churchfield collection was the largest sent in from any school in the area and was gratefully received. Thank you to everyone for their generosity.